On 3-4 July 2017, partners involved in the Africa RISING-NAFAKA project implementation came together to review achievements made during a largely successful run of the project’s initial 3-year phase. Partners present at the meeting reported on the milestones made on key intervention areas of the project like the introduction of improved crop varieties, good agricultural practices, natural resource management, reduction of food wastage and spoilage, and community capacity building. 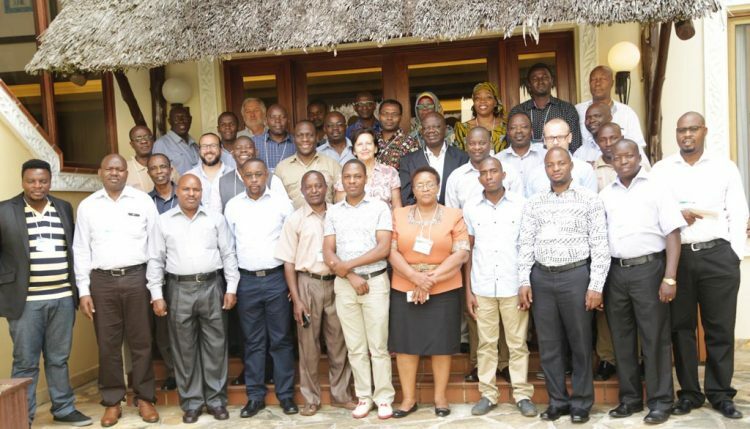 Africa RISING – NAFAKA project partners pose for a group photo during the end-of-phase meeting. Photo by Gloriana Ndibalema, IITA. “We view this project as an important one, particularly considering that the technology delivery model is the first of its kind for Tanzania. 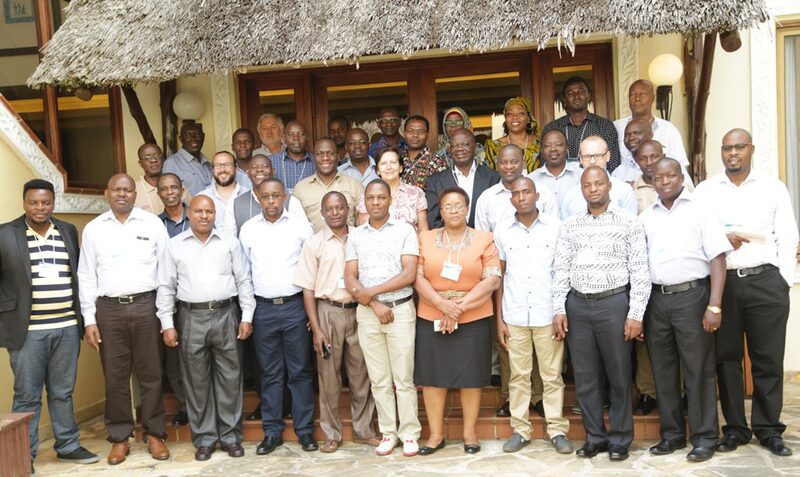 Within this project, there is already a clear path for how research outputs will be advanced into development outcomes,” noted the IITA Director for Eastern Africa Hub, Victor Manyong, during the opening session of the meeting. “We are very much interested in the lessons learned from this project because it represents the future of where research organizations like IITA are heading to in future,” he added. At the top of most partners’ lists of key achievements by the project was the good working relationship and understanding between implementing partners. “Partners remained committed to common goals during the past three years and there was virtually none trying to compete with the other for attribution or visibility. Our third year 2016/2017 is for me the best of our collaboration because the relationships were getting better. And I believe this will continue into the second phase of this project,” noted NAFAKA Project Chief of Party, Thomas Carr. Successful introduction of drought tolerant and resilient crop varieties (maize, rice, legumes, and vegetables) to over 40,000 farming households in Tanzania. Promoting good agricultural practices among at least 40,000 households thereby contributing to sustainable intensification of agroecosystems. Working with at least four national agro-input companies to ensure that the improved crop varieties and associated agro-inputs are available to farming households. Introducing labor-saving technologies and aflatoxin management techniques in the maize/legume farming system of seven districts thereby contributing to improving the quality of agricultural produce for enhanced market access and nutrition. Strengthening the capacities of over 150 government agricultural extension staff and Village-Based Agricultural Advisors (VBAAs) such that they can sustain project achievements in the future. Use of geo-information systems (GIS) to better target project interventions to suitable agroecosystems. In a message delivered on behalf of the project management team, Africa RISING Manager for East/Southern Africa and West Africa Projects, Irmgard Hoeschle-Zeledon thanked USAID for staying steadfast in supporting the project despite ongoing changes at the agency and competing priorities for funding. “For a long time, we in Africa RISING tried to work with NAFAKA in areas of common interest but this never took off until USAID provided us with additional funds to make things happen. Technology dissemination is costly and needs additional technical expertise. These resources allowed IITA to get this extra expertise to support the excellent work that NAFAKA has been doing so far. So, Africa RISING is grateful to USAID for providing us with resources to develop products/technologies and then also ensure they get scaled out and farmers can access them,” noted Hoeschle-Zeledon.